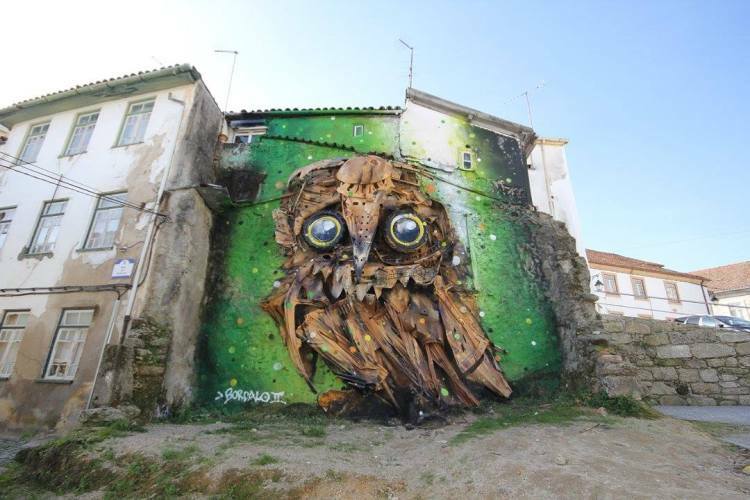 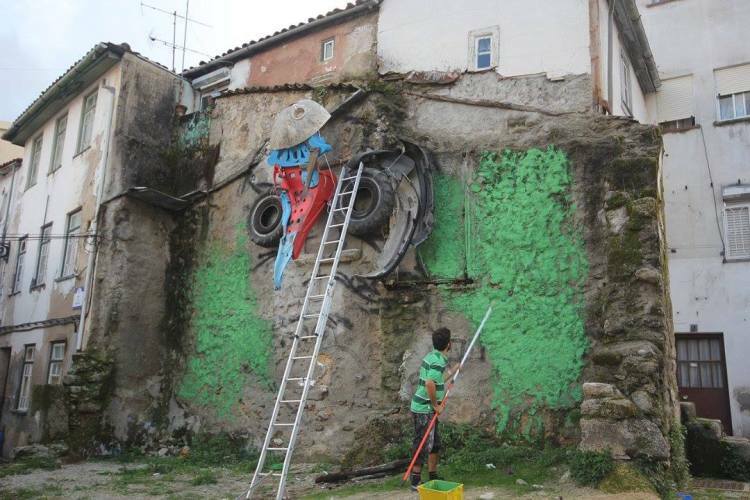 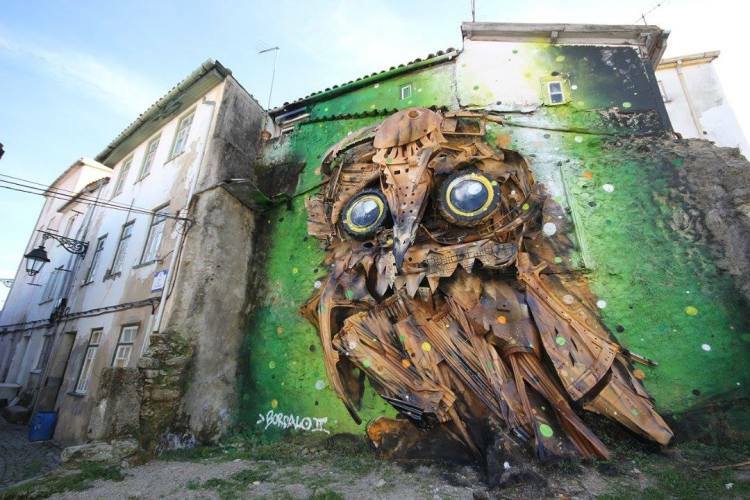 At the WOOL urban art festival in Covilhã, Portugal back in October, Portuguese artist Artur Bordalo (Bordalo II) used found materials and paint to create Owl Eyes, a wonderful outdoor installation of an owl. 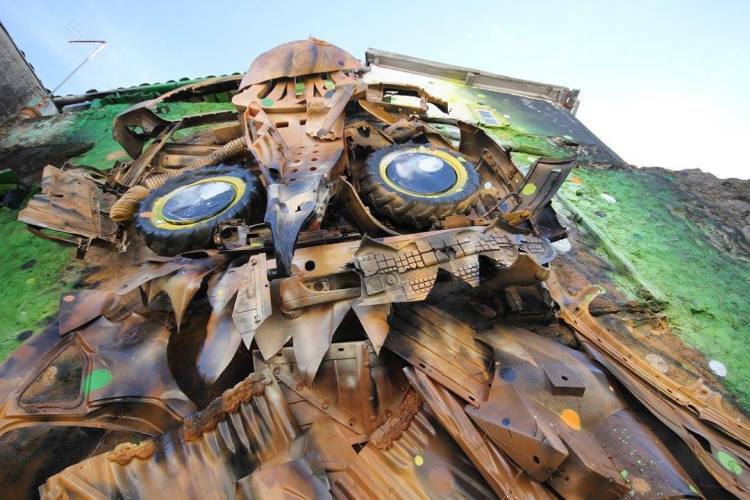 More photos of the installation can be found on the WOOL Facebook page. 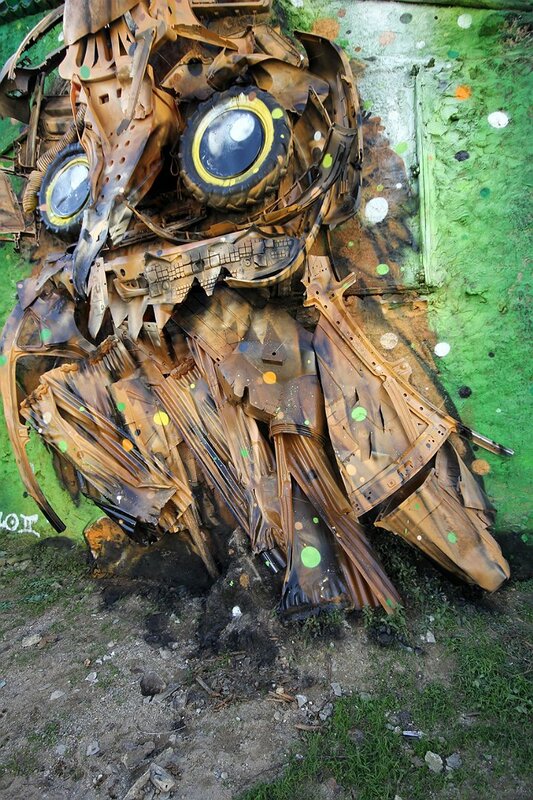 We previously posted about Bordalo’s clever railroad track art.